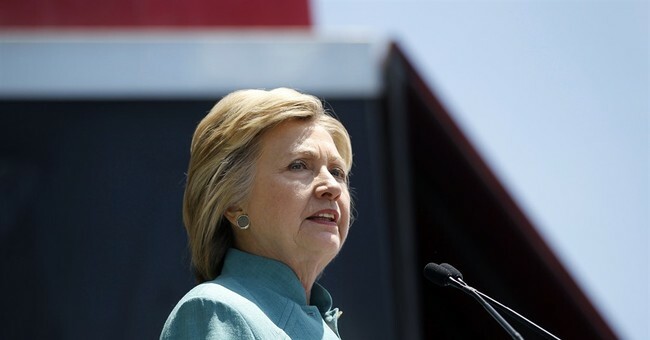 Some lawyers are rejoicing over the decision that Hillary Clinton will not be prosecuted for allegedly mishandling classified information. Let’s just call it the “Hillary Defense.” After all, one lawyer said that many have been punished and lost their careers for doing much less. Moreover, the Obama administration blood lust to dole out punishment for people being careless with classified information seems to be boundless, unless that is your name is Hillary Rodham Clinton. The champagne bottles seem to be popping open for defense lawyers, though the instances in which this administration has gone after those for committing crimes that are of a lesser degree than Clinton’s numerous email chains containing classified information stored on servers that weren’t approved by the State Department, which had little to no security protocols (Gmail was more secure). Yet, even lawyers who plan on using Comey’s findings as precedent to get their clients off the hook in future legal entanglements of this nature also acknowledge that Clinton and her entourage engaged in “egregious security violations,” and that if it were any other person—security clearances would’ve been revoked. The latter can be devastating to future employment in government work. As McClatchy reported, Thomas Drake, a former National Security Agency official who was put in the legal crosshairs for telling the press about waste within the agency’s surveillance apparatus, is now relegated to working at an Apple store. Mark F. Riley, a former military intelligence officer who became a lawyer defending those accused of national security violations, said he, too, would invoke the Clinton recommendation. “Any other person would have had their security clearance revoked,” he said. Mark Zaid, a longtime national security lawyer in Washington, said the FBI recommendation on Clinton was one of two precedents the Obama administration had set in dealing with high-profile government figures accused of national security violations. The first case occurred last year, when former CIA Director David Petraeus, a retired four-star general, was allowed to plead guilty to a misdemeanor charge stemming from his handing over eight notebooks containing classified information to his lover and biographer. Kel McClanahan, another national security lawyer, said the FBI had not pursued an important line of inquiry: whether Clinton violated the law merely by setting up private servers and diverting government records. Someone who “conceals, removes, mutilates, obliterates or destroys” government records can face a fine and up to three years in prison. The Justice Department has sent defendants to prison for such a crime, McClanahan said. Thomas Drake, a former official at the National Security Agency, a U.S. spy agency that collects and monitors information and data, was criminally prosecuted in 2010 under the Espionage Act. His alleged crime: disclosing to a journalist, Congress and a government watchdog millions of dollars in waste and other problems with the surveillance program and response to the Sept. 11, 2001, attacks. The Obama administration prosecuted him, asserting that he had revealed classified information. The case eventually fell apart, but the Justice Department agreed to settle the matter only if Drake entered a guilty plea to a misdemeanor charge of exceeding authorized use of a government computer. Drake said he was startled by the similarities between the allegations that were not proved in his case and what Comey said the FBI had confirmed about Clinton’s behavior. Both involved deleting emails, but in Drake’s case the FBI argued he’d obstructed justice for having done so. The NSA suspended his security clearance, which he said left him unemployable by the federal government. He now works in an Apple store in Maryland. Still, Trump and the Republicans have a ton of ammunition to use against her with these findings. The question is when the billionaire magnate is going to pull the trigger on creating ads highlighting that Clinton is what everyone already thought about her: an unrepentant liar.